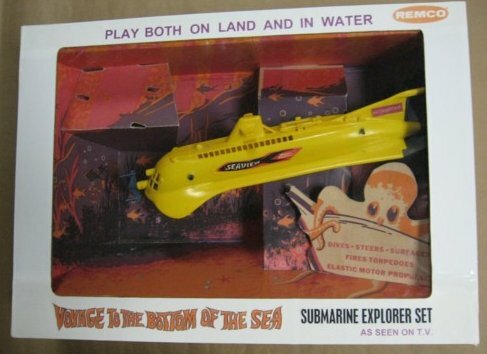 Thanks for the interest in the Remco Submarine Explorer Set. 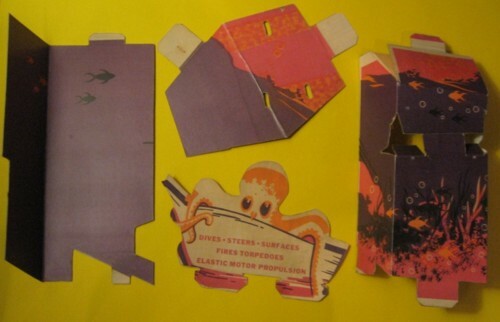 I've attached, to this e-mail, some pictures of the box. I do not have the Sea Crawler, Mini Sled or treasure box that went with this set. 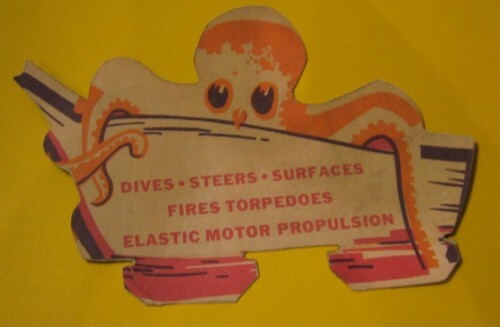 The Mini Sled was attached to the fold out at the top corner of the box, the Sea Crawler was attached to the bottom of the box in the left corner, the treasure chest was placed to the left of the octopus and the divers were placed between the treasure chest and the Sea Crawler. 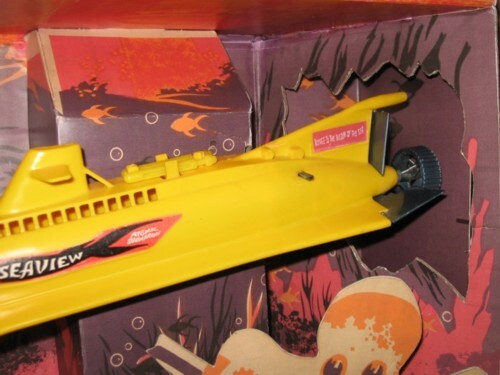 Here is a short description: Remco Voyage To The Bottom Of the Sea Submarine Explorer Set box. The set consisted of the Seaview Submarine, Sea Crawler, Mini Sled, Treasure Chest, 2 divers and 4 pilots. The large window box measures 24" long, 16'' high and 7" wide. The box is marked as STYLE # 647. 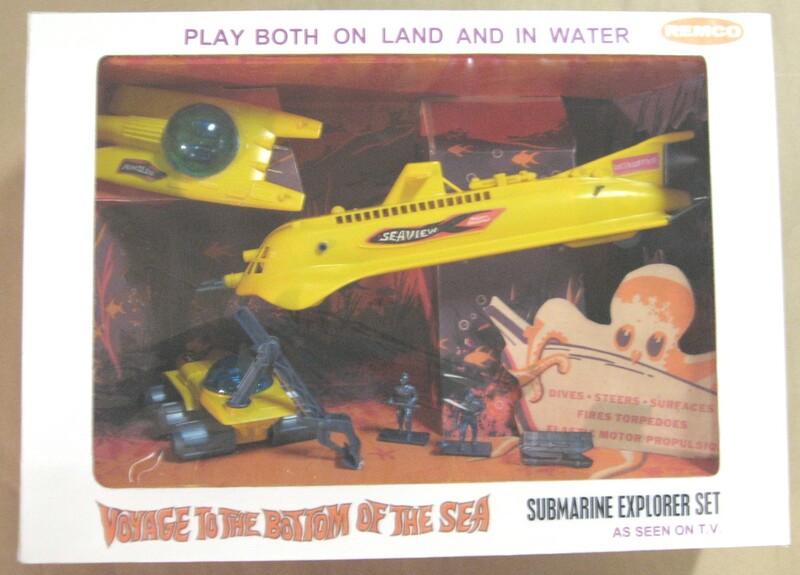 A colorful seascape background with the Seaview Submarine toy appearing to exit a sea cave, and an Octopus holding a boat cut-out. 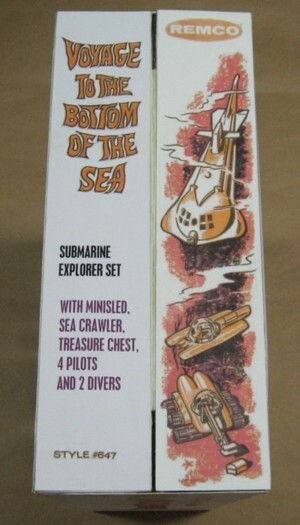 This set combined the Seaview Submarine Set and the Submarine Scout Set.